PT Darma Henwa Tbk - Darma Henwa commonly abbreviated as "PTDH" is a reputable public-listed company in Indonesia, listed on the Indonesia Stock Exchange under reference code of DEWA (listed since 26 September 2007) and engaged in integrated coal mining industry. Since its establishment in 1991, Darma Henwa has core business competencies in mining contractor, general mining and maintenance of equipment. As of December 2016, the shareholders composition of PT Darma Henwa Tbk consist of Zurich Assets International Ltd (18.40%), Goldwave Capital Limited (17.68%), and public (63.92%). 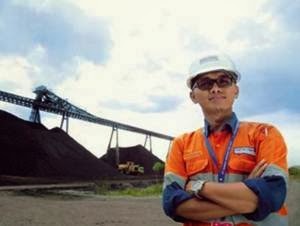 Based in Jakarta, Darma Henwa now has 4 operational offices at Asam Asam Coal Project South Kalimantan, Bengalon Site Office East Kalimantan, Satui Site Office South Kalimantan and Balikpapan Office East Kalimantan. Darma Henwa also supported by 5 subsidiaries; PT DH Services, PT Dire Pratama, Prove Energy Investments Limited, PT Cipta Multi Prima, and PT Rocky Investments Group. According to PT Darma Henwa Tbk Annual Report 2016 as cited by JobsCDC.com, Darna Henwa produced satisfactory results in 2016. Darna Henwa managed to book total revenue of USD 259.09 million in 2016 or grew by 7.9% from USD 240.12 million in 2015. Darna Henwa also successfully posted total Gross Profit of USD 15.87 million in 2016. Total comprehensive profit in 2016 reached USD 373,25 thousand. Male/Female, not over 27 years of age. Undergraduate students with the maximum graduation day on 1 May 2018 are welcome to apply . Both fresh graduate or practitioner with maximum of 1 year of employment are welcome to apply. Highly motivate, creative, easy to adapt, possess strong leadership, and flexible under pressure. JobsCDC.com now available on android device. Download now on Google Play here. Please be aware of recruitment fraud. The entire stage of this selection process is free of charge. PT Darma Henwa Tbk - Fresh Graduate Development Program FGDP PTDH April 2018 will never ask for fees or upfront payments for any purposes during the recruitment process such as transportation and accommodation.